Through the final activity of this year’s cycle, alumni of the Annual Seminar had an opportunity to participate in the World Forum for Democracy, which was held from 19-21 November in Strasbourg, France. This was seventh Forum in a row and was dedicated to the topic of gender equality and women’s rights. Special focus was on women’s public, political and economic participation and on combating violence against women in the wake of #MeToo movement. The Forum brought together representatives of 21 schools of political studies working under the auspices of the Council of Europe. The World Forum for Democracy is a unique platform for political decision-makers and activists to debate solutions to key challenges for democracies worldwide. This year we had the opportunity to listen to current and former ministers of states around the world, officials at the institutions of the European Union, as well as representatives of the civil society and media organisations. As part of the Forum’s program, our participants attended plenary sessions and actively participated in lab series. 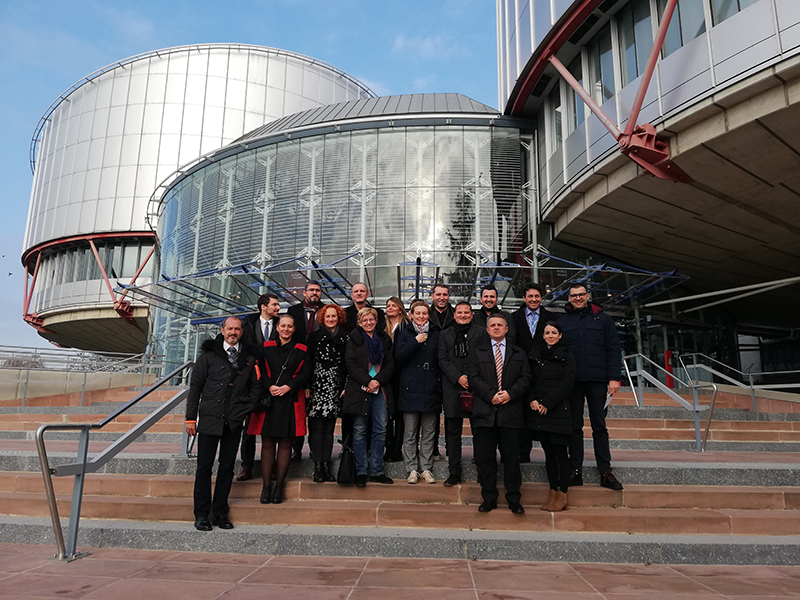 During our stay in Strasbourg we also had an opportunity to visit the European Court for Human Rights, as well as the Permanent Mission of the Republic of Serbia to the Council of Europe.